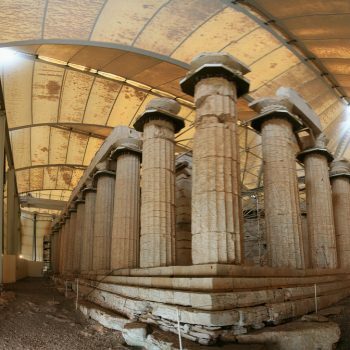 The temple of Epikourios Apollon is 95 km away east from Katakolon port and it takes about 90 minutes driving to get there. 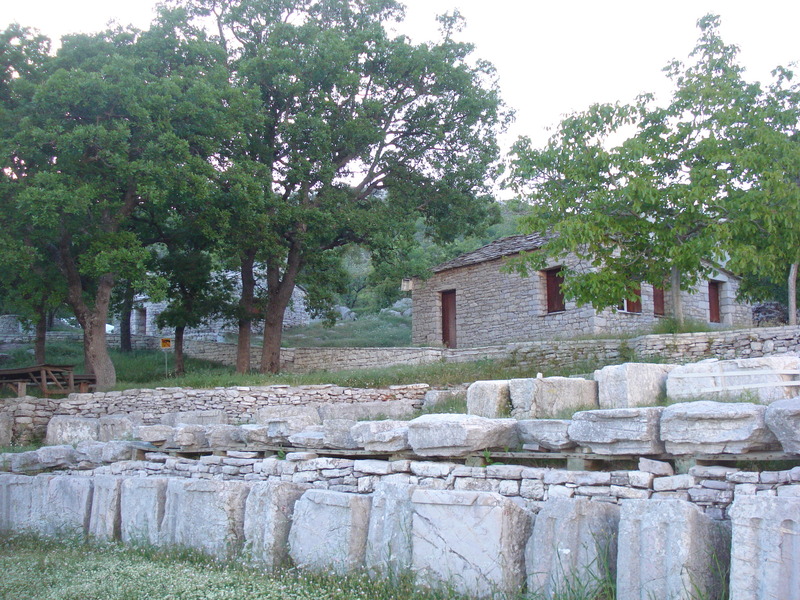 During the driving route the visitor can see many little villages and beautiful hills. It takes about 1 hour to visit and explore the temple thoroughly. 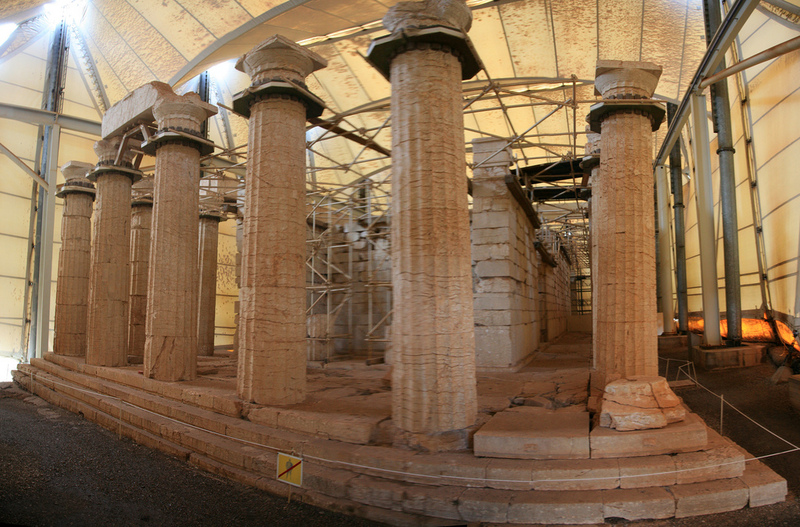 The temple of Epikourios Apollon stands at a height of 1130 m on Mount Kotilio 14 km south of Andritsaina. 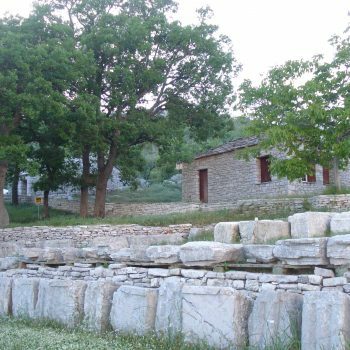 At this site which was called Vassai (little valleys) in antiquity the inhabitants of nearby Figaleia founded a sanctuary of Apollo Bassitas in the 7th BC where they worshipped the god with the epithet Epikourios – supporter in war or illness. 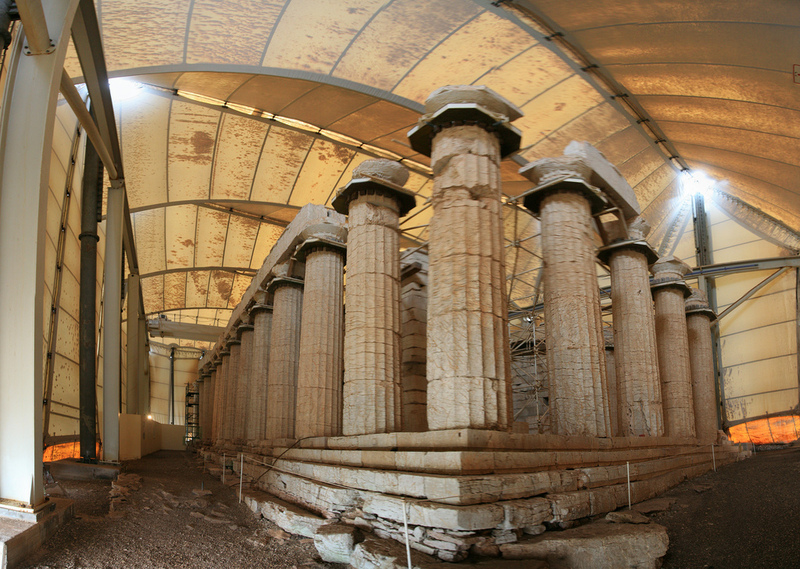 The temple of Apollon in the sanctuary at Vassai is one of the best – preserved monuments of the ancient Classical world. 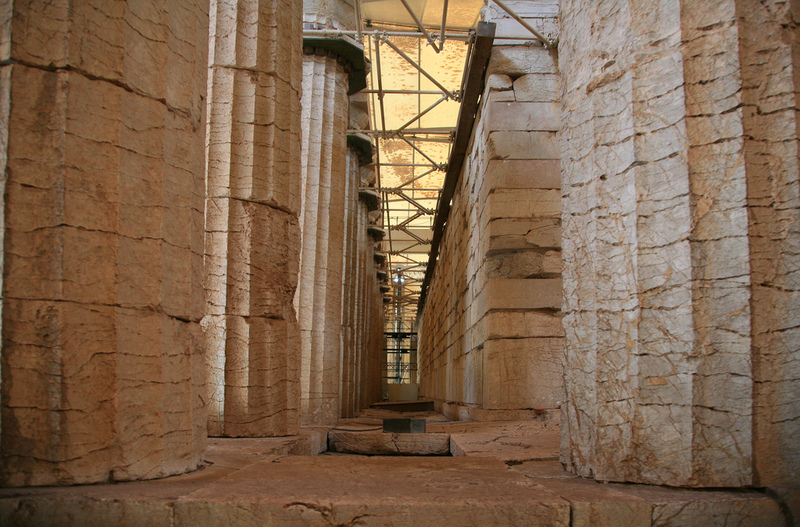 It was built from 420 to 400 BC on the site of an earlier Archaic Temple. 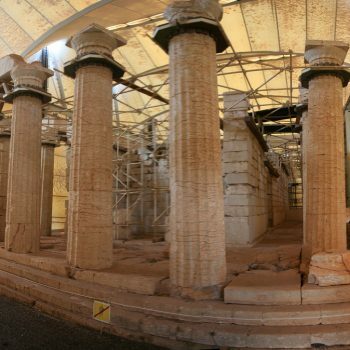 It is believed that the temple was built in honor of Epikourios Apollon, as gratitude for saving their Town from a plague. 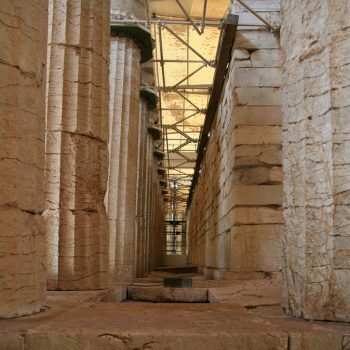 The traveler Pausanias, who visited and admired the monument in the middle of the 2nd C. AD states that its architect was Iktinos who was also the architect of the Parthenon in Athens. 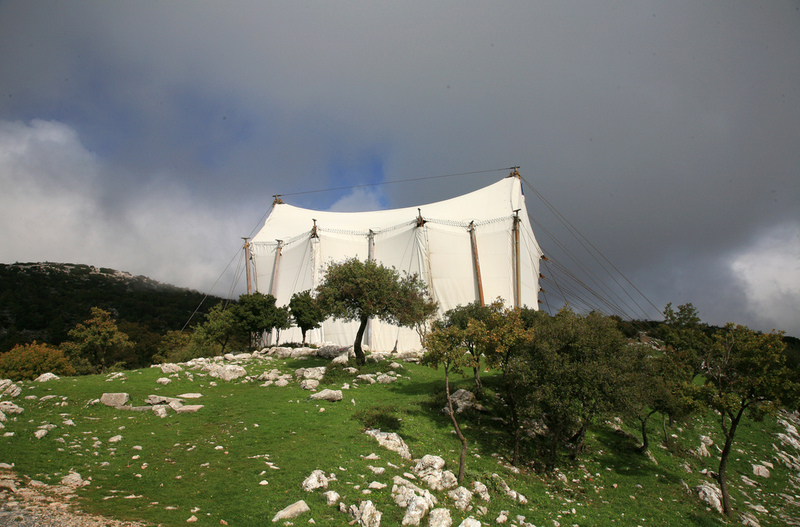 Lately, a long-term restoration program has been in progress. The objective is to solve fundamentally and definitely all the monuments problems so as to maintain it for the centuries to come. 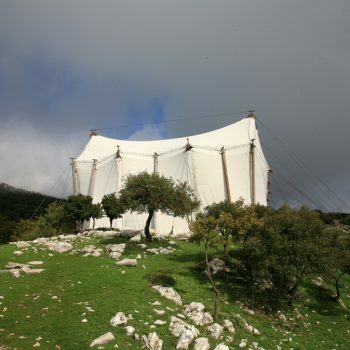 Since 1986 the temple has been under the unesco protection as a monument which makes part of the World cultural Heritage.